Sharp-eyed Super Bowl viewers probably noticed something was a little wonky at the beginning of one of the night’s roughly 1,000 commercials. The screen flickered, displaying what was meant to look like a CBS technical error, before the rich voice of Jordan Peele made everything much more clear: We were watching a Twilight Zone promo. 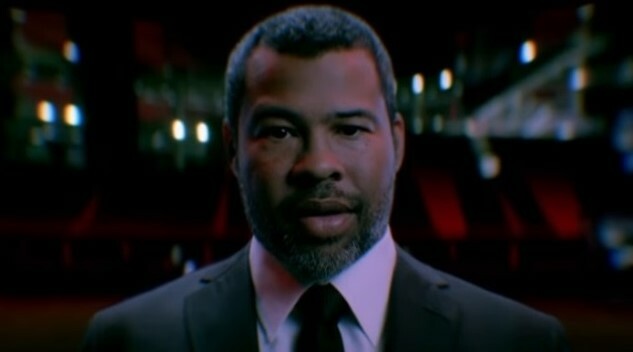 Peele’s reboot of the legendary sci-fi/horror series from original creator Rod Serling is one of TV’s more hotly anticipated projects, and one that CBS is dearly hoping will prove to be enough of a killer app to encourage subscriptions to their streaming service, CBS All Access. The network previously courted Star Trek fans with a new series for the service—now it’s time to exploit The Twilight Zone by putting it in the hand of one of 2019’s hottest writer-directors in the form of Peele. At the very least, the new Twlight Zone can already boast a very impressive ensemble cast of actors who have been announced for various episodes, including Adam Scott, John Cho, Allison Tolman, Jacob Tremblay, Erica Tremblay, Steven Yeun, Greg Kinnear, DeWanda Wise, Jessica Williams, Lucinda Dryzek, Jefferson White, Jonathan Whitesell, Taissa Farmiga, Rhea Seehorn, Luke Kirby, Ike Barinholtz, and Percy Hynes-White. The Twilight Zone debuts exclusively via CBS All Access on the most appropriate of days: April 1, 2019. Check out the trailer below.